Lovely filly born 4/7/14 Bay with four whites and a blaze. 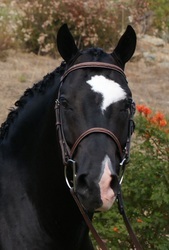 Beautiful refined hunter look, sweet face with a pretty neck and shoulder. Lofty trot and forward canter...quite the personality as well. 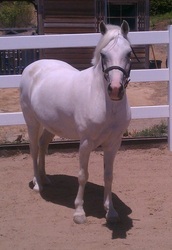 Offered for sale 14,000. 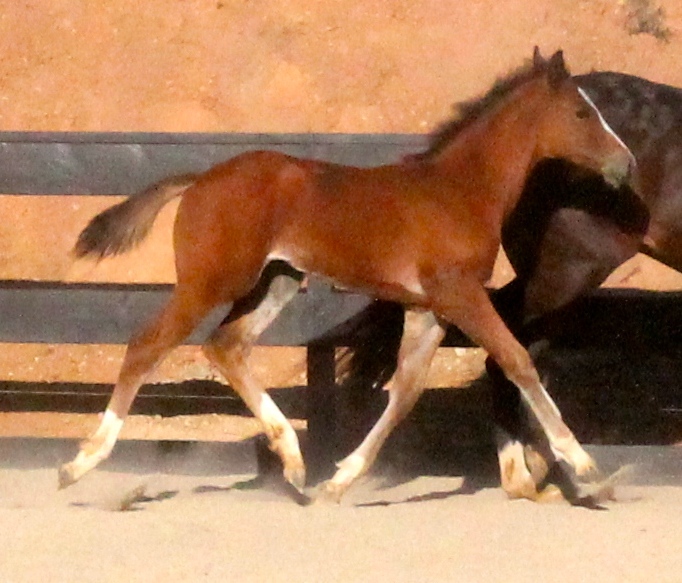 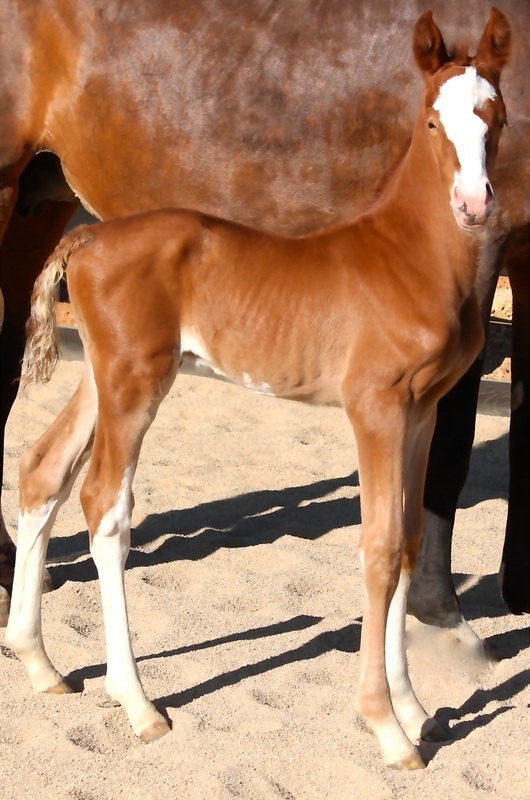 "Starbucks" Colt born 4/22/13 Chestnut with four whites and blaze. Big boy with substantial bone, long leg, forward with a power hind end, this boy is going to soar......get your next grand prix contender here. Branded RPSI Silver Premium. 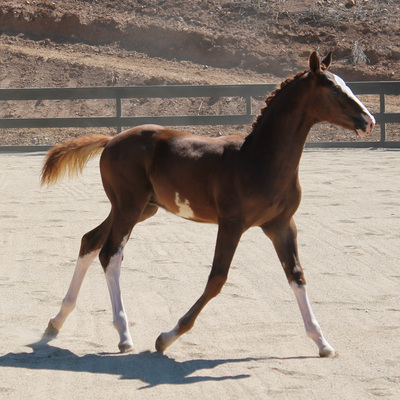 Colt born 7/10/13 - Bay four whites with star, stripe, and snip. Amazing movement, elegant head, great shoulder, nice topline, expressive, soft eye, friendly and curious. 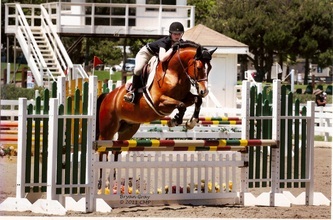 Branded RPSI Premium Gold. Inquire for price. 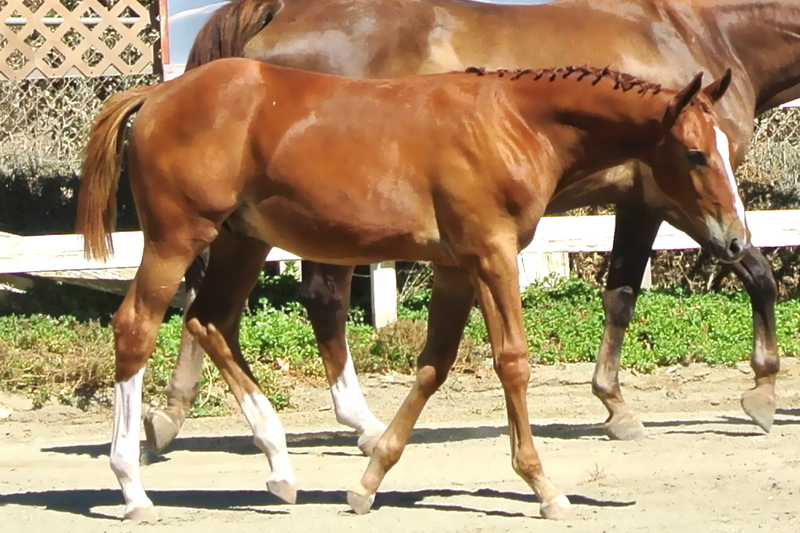 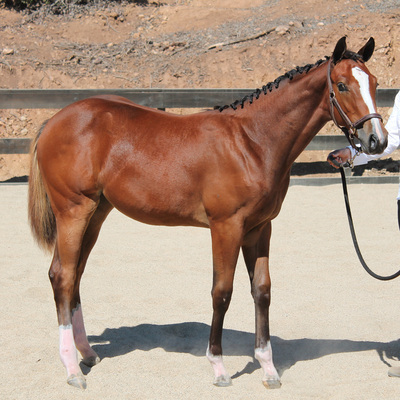 SOLD - Congratulations The Fernandez Family and Barcelona Farms Colt born 4/11/14 - bay with one white hind. 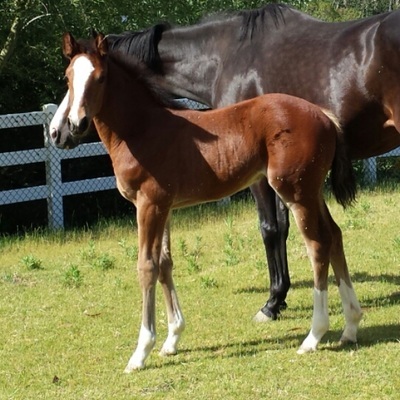 lovely large foal with substantial bone and muscle, nice shoulder and hind end. One of the most muscled foals we have ever had and a huge personality. 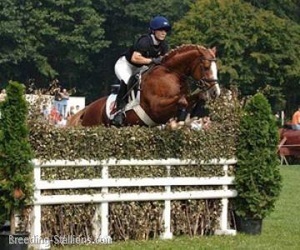 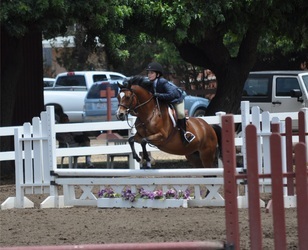 Moves like a hunter, but I have no doubt this boy will soar in jumper ring as well. 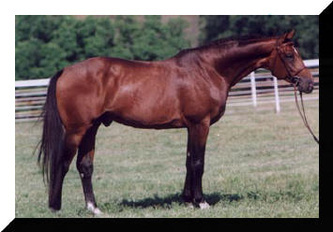 Sire - Cabalito owned by Whitehedge Farm. 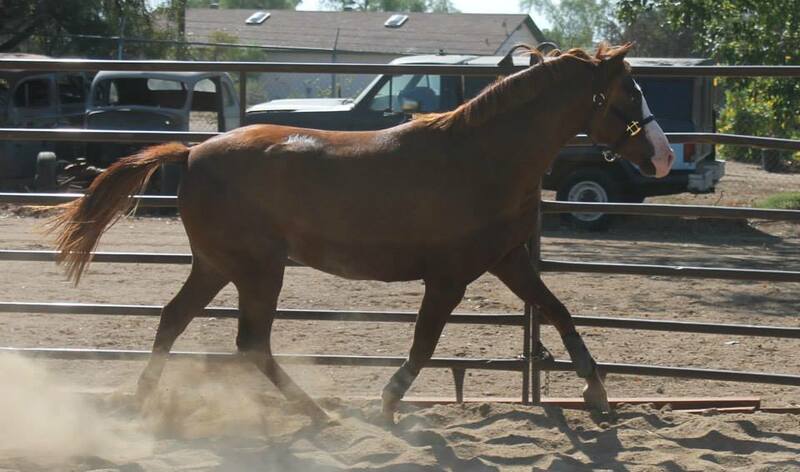 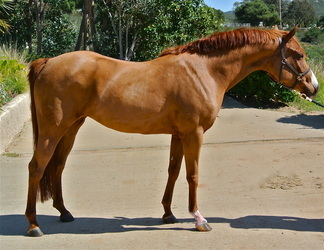 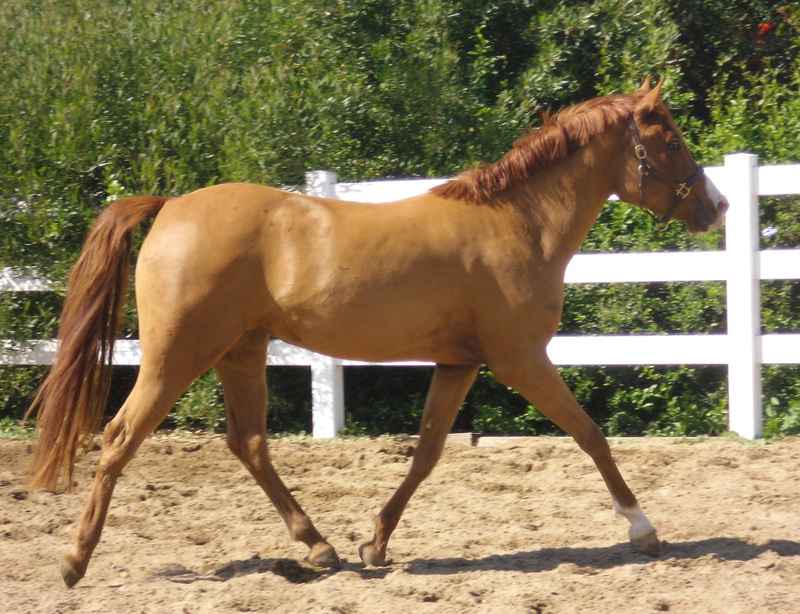 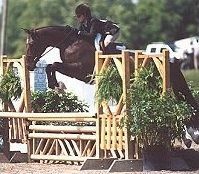 Dam - "Diva" is a lovely 2002 17h Han/TB mare by Rio Grande and out of a Sir Thomson mare. 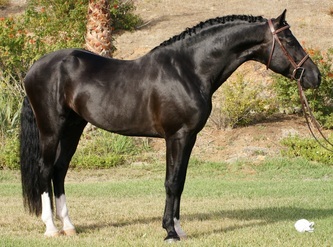 Beautiful conformation and amazing disposition. 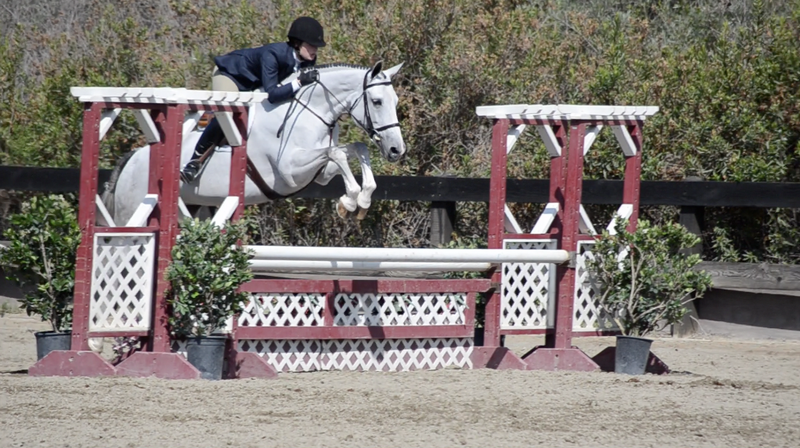 She moves a 10+ with a huge stride and jumps even better! 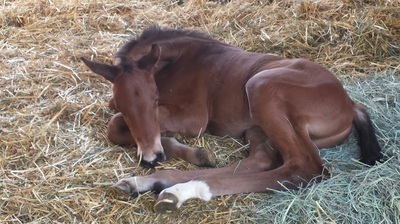 We are so thrilled to have the opportunity to have such amazing genes...the ultimate hunter...from on the line thru the workings! 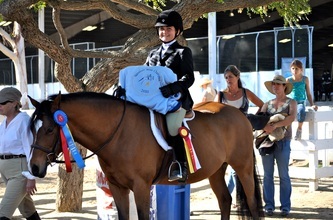 10/14 update Matilda was Grand champion and reserve grand champion at Cow Palace, her first time out. 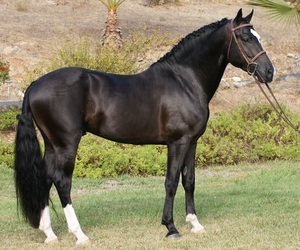 2006 14.1 Welsh cob black stallion with three whites, star, and snip. 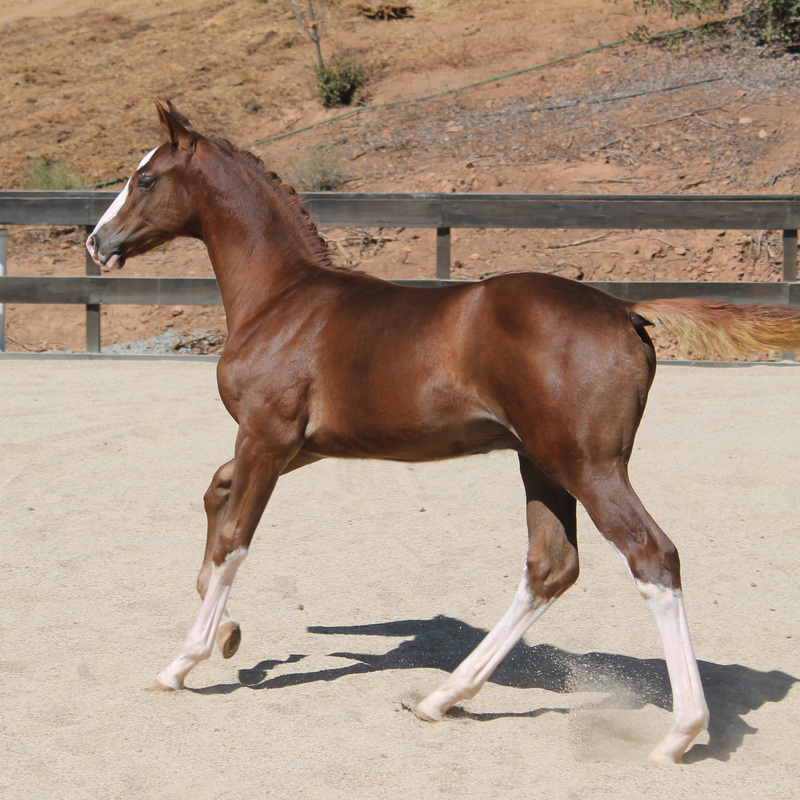 An Exceptional youngster with beautiful conformation, balanced movement,& incredible temperament. 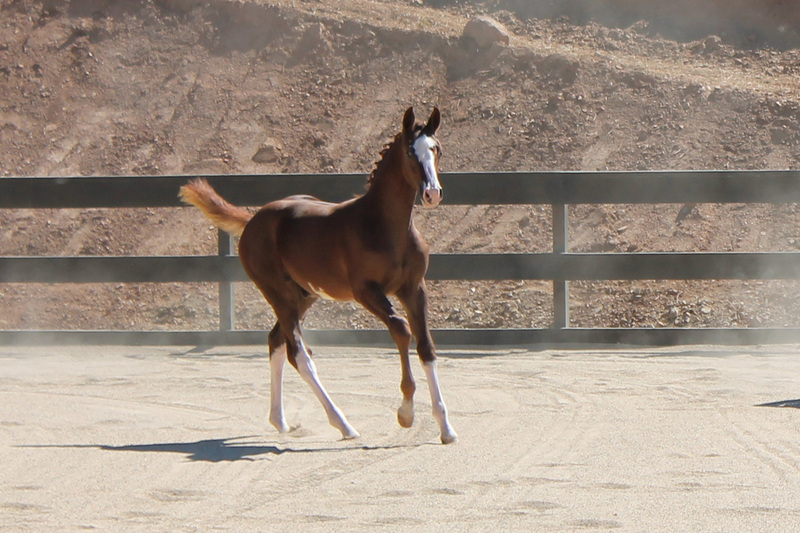 This boy has BIG movement in a small package! 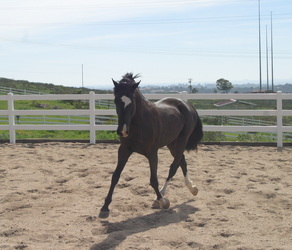 Trystan is healthy, has never worn shoes, sound with no vices. 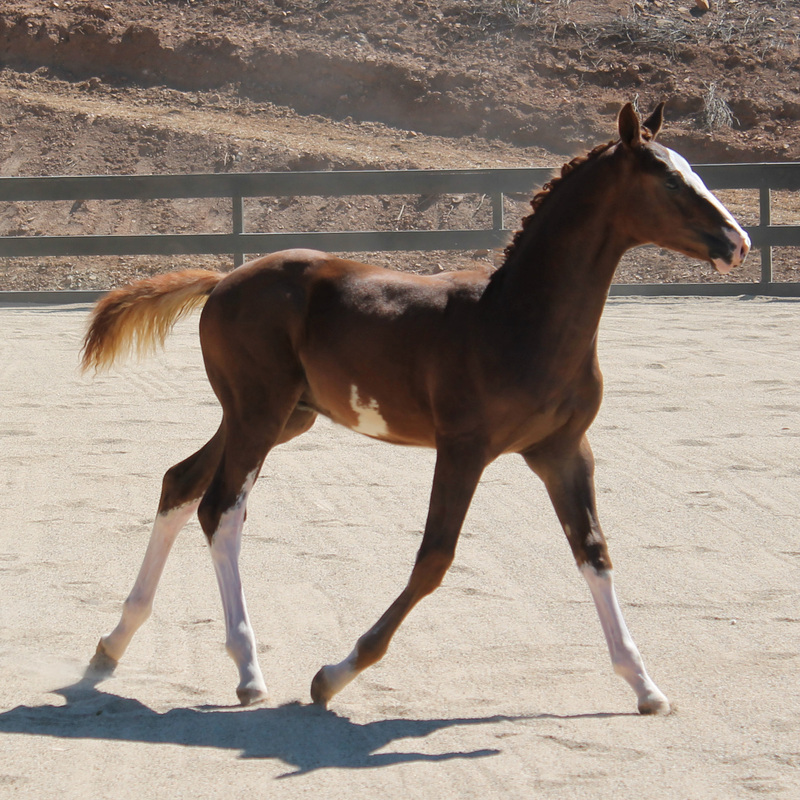 This fancy youngster will get you noticed with his markings and presence. 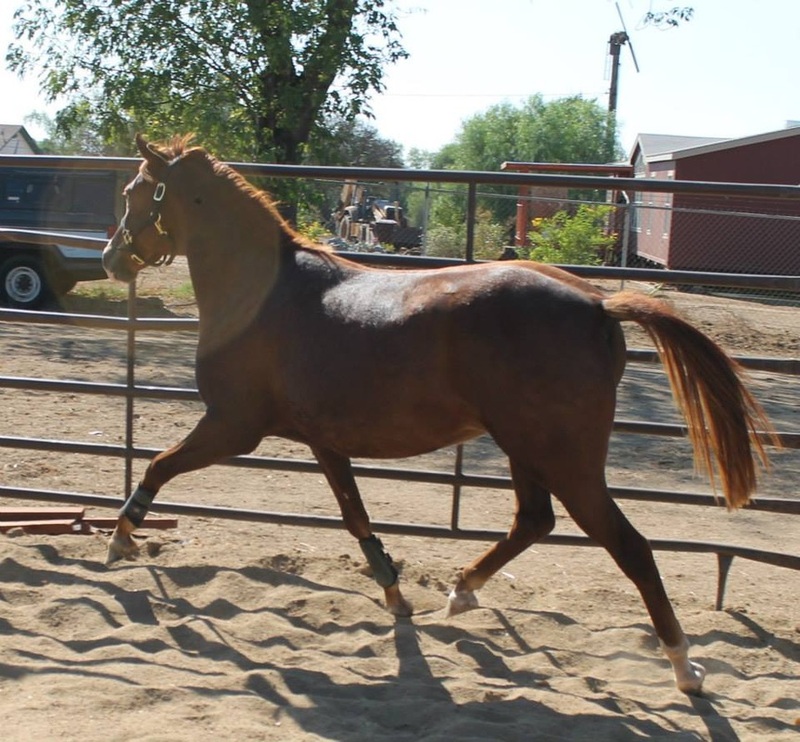 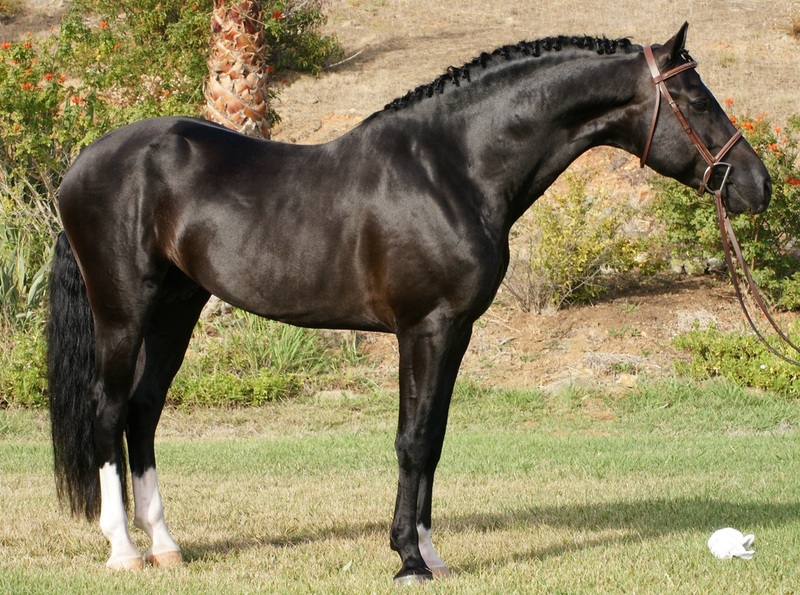 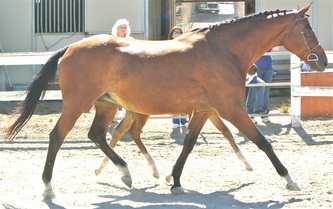 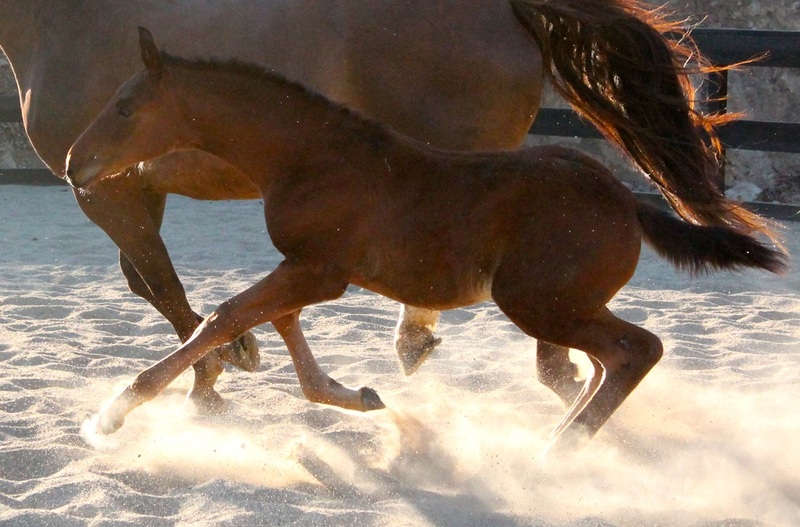 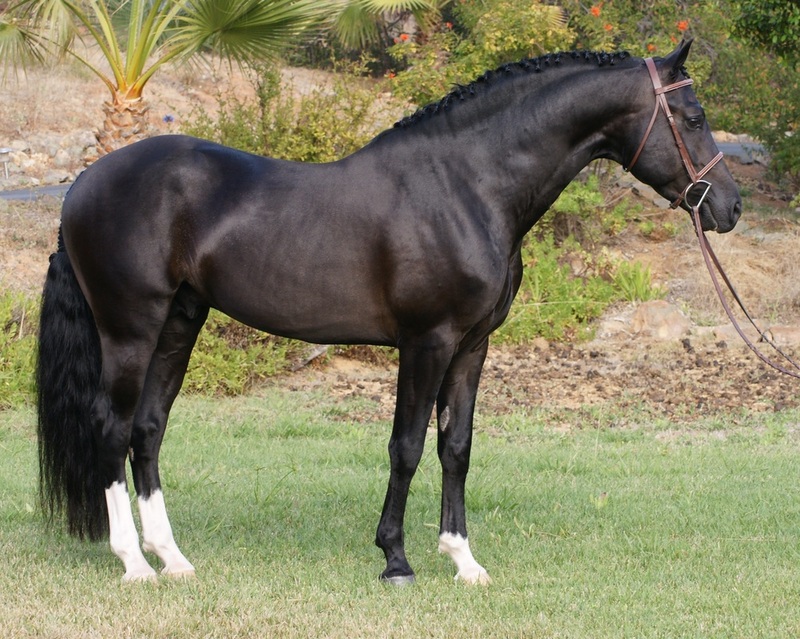 He is eager to please, very affectionate and ready to be guided to the show ring. Has been backed but is very green. 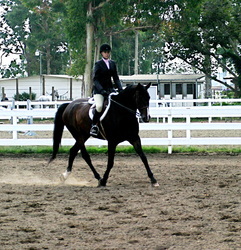 Shows potential with dressage and jumping. 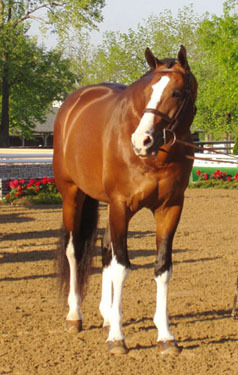 Very willing to learn and a barn favorite. Will make a great sire because of his conformation and amazing temperament or will geld if buyer would like. "Lucy" is a 1999 14.1 hand 1/2 welsh pony. 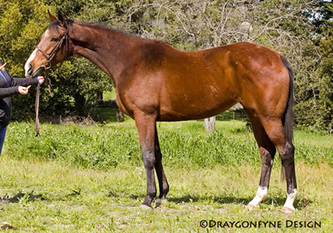 Bay with three whites and a blaze. 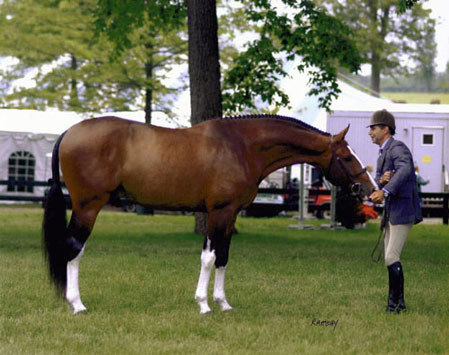 Capable of packing a short stirrup rider all the way up to division large ponies. Has competed at Devon & is always in the top ribbons at local shows and numerous year end championships. 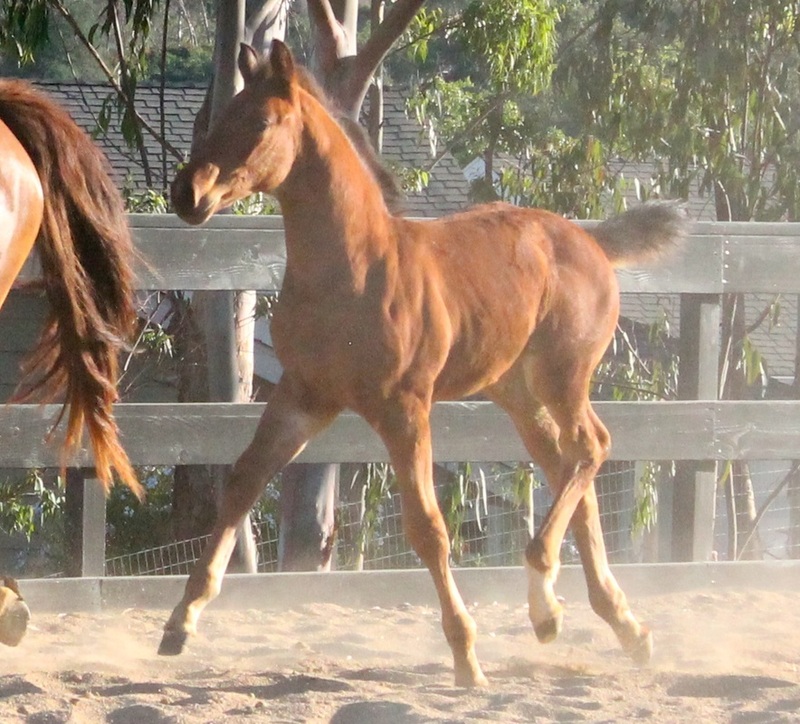 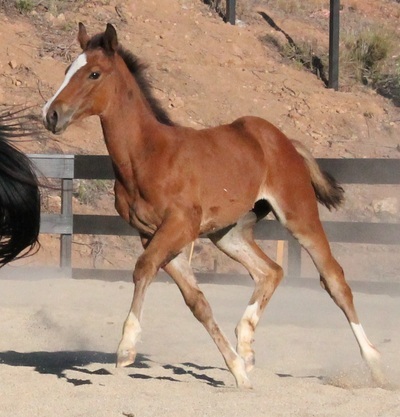 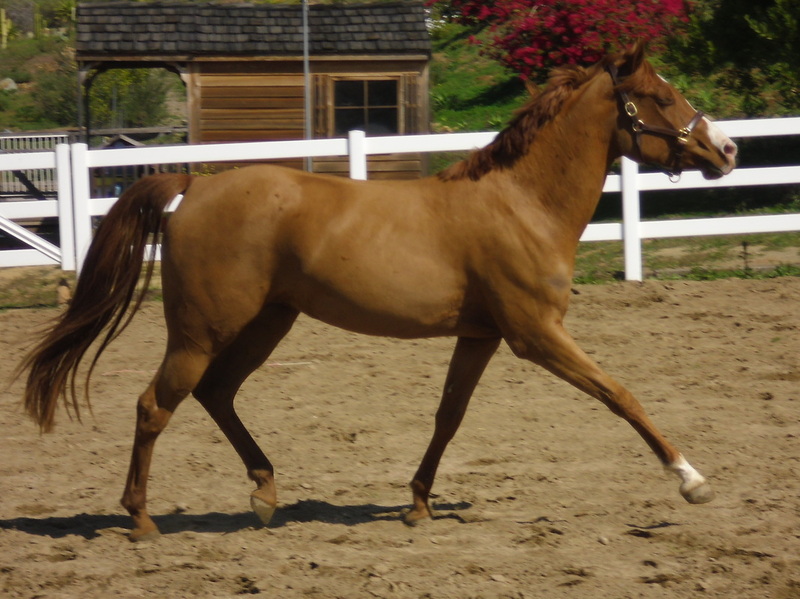 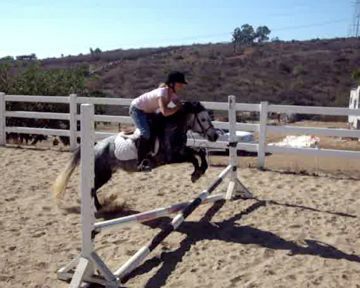 Great mover, cute jump & pocket pony personality make her a dream pony, sadly outgrown. "Lucy" has been steadily successful in a very competitive region for several years. 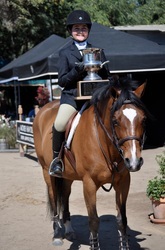 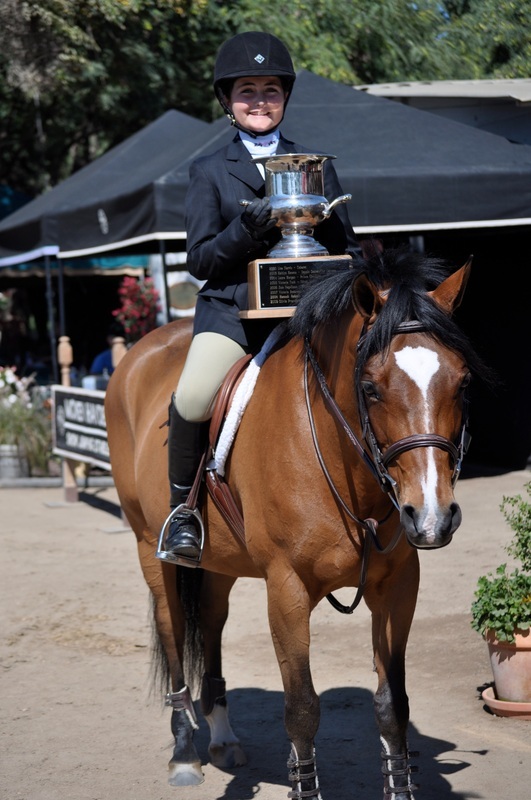 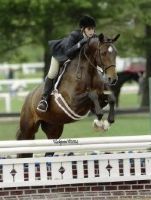 She loves to show and has carried her young rider to top Year End Awards & Trophies without ever offering a stop, spook, fuss or antic. She is perfectly safe, predictable and competitive. 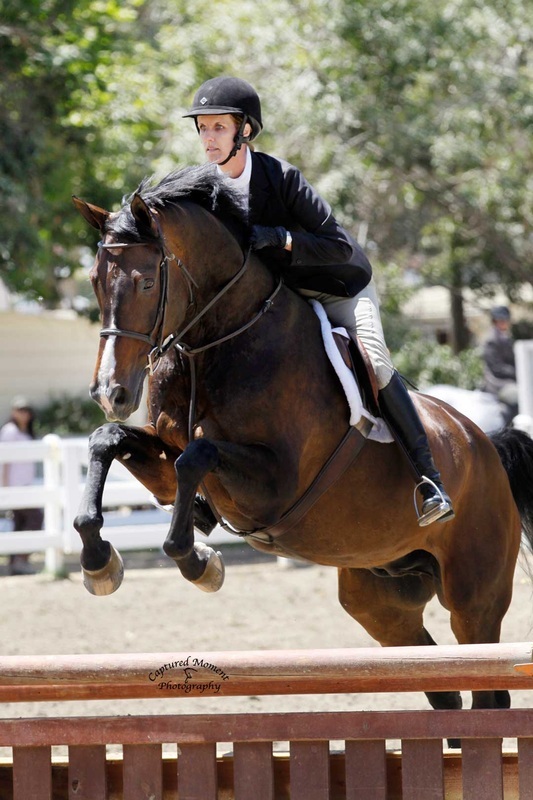 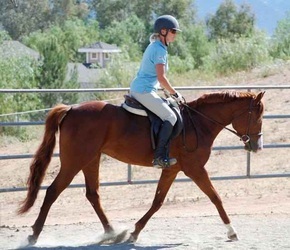 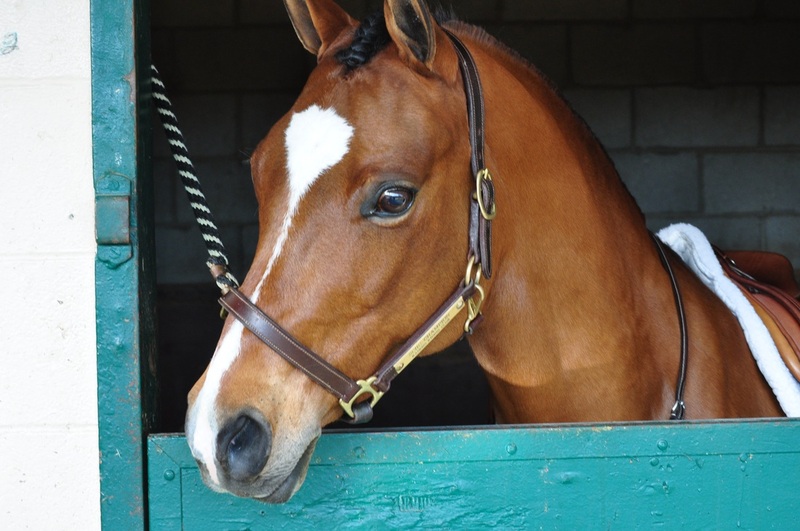 Lucy is well-schooled with automatic changes,is handy over fences and great in equitation. 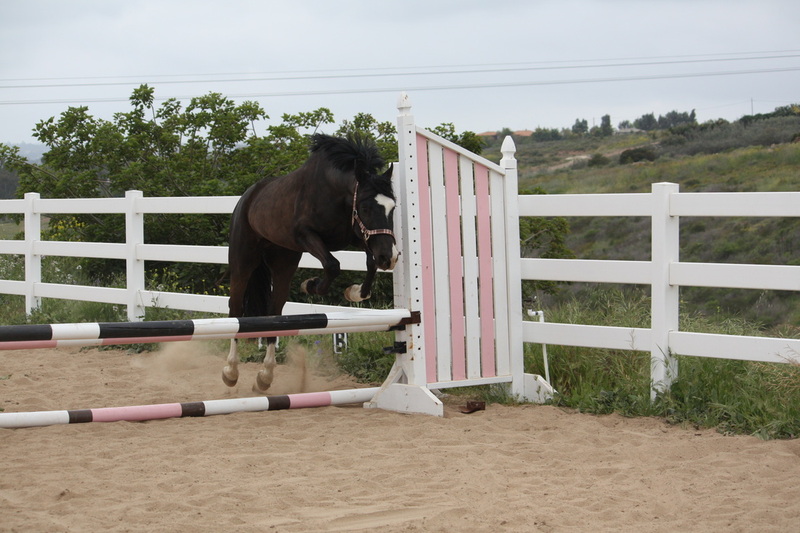 Lucy is brave, honest, and jumps anything in front of her. 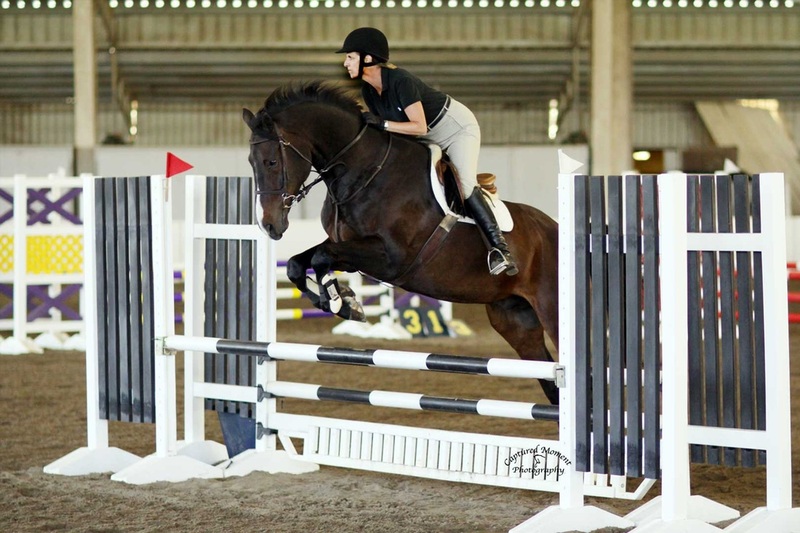 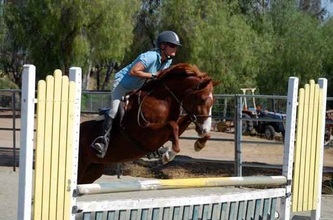 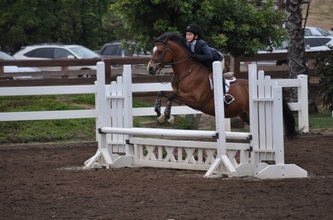 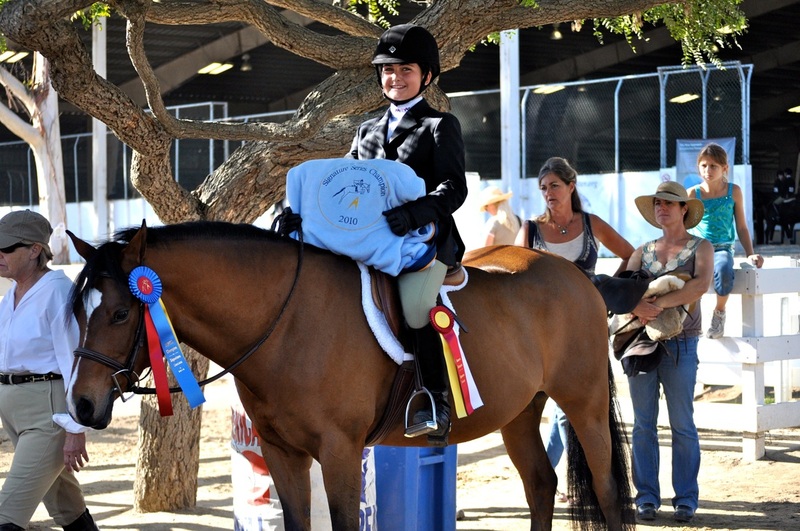 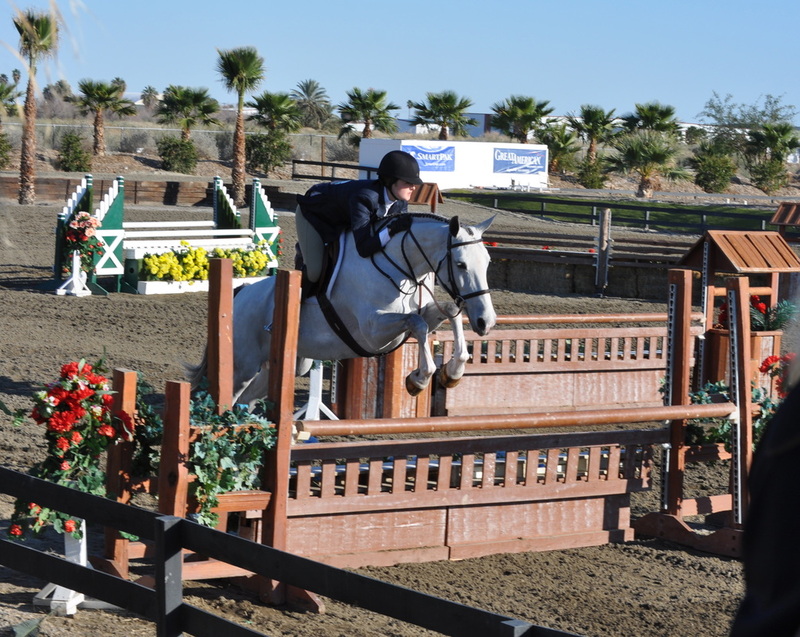 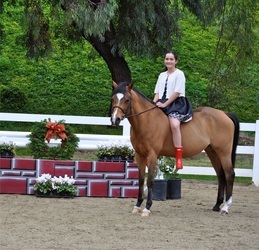 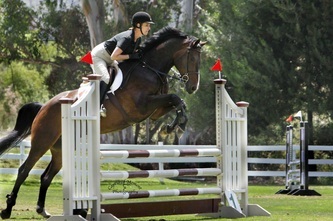 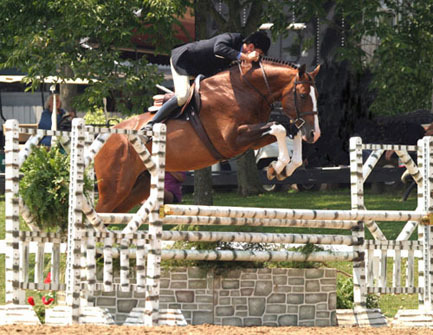 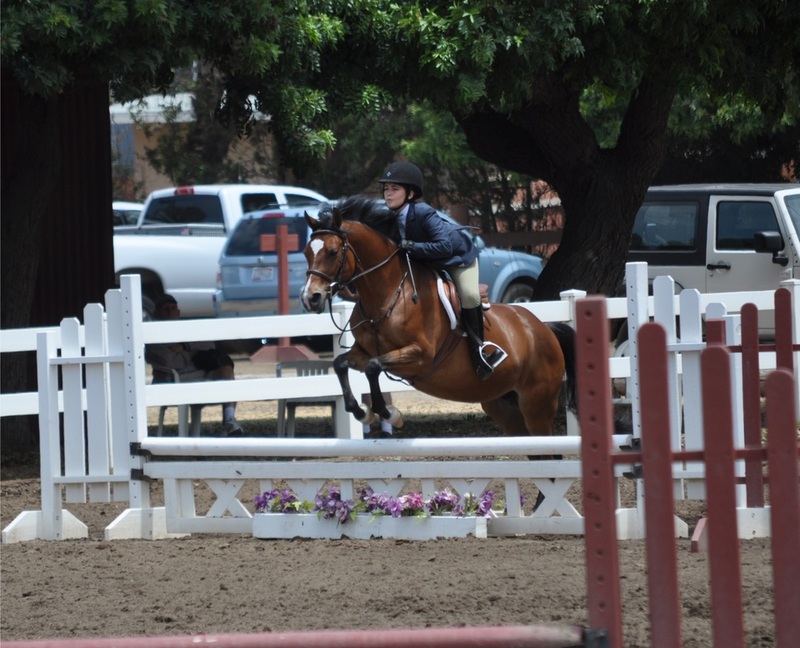 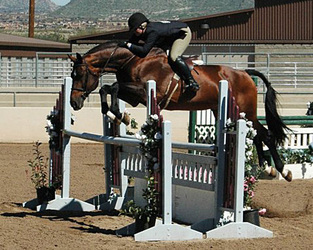 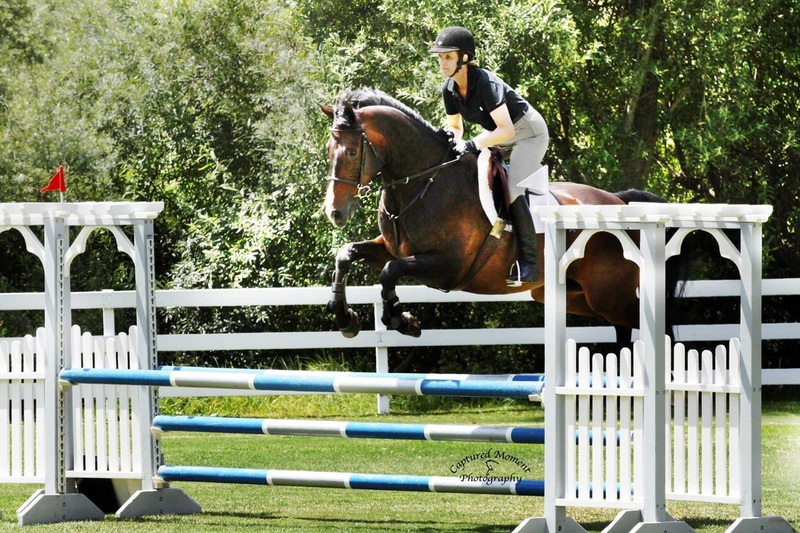 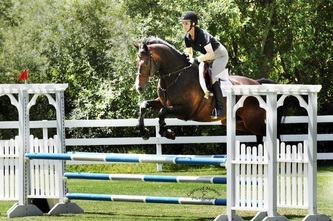 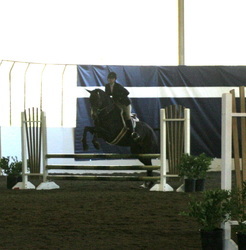 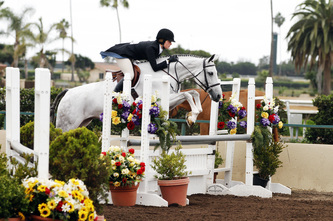 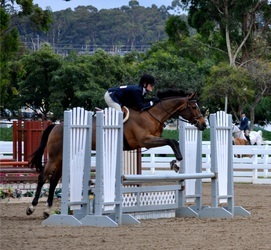 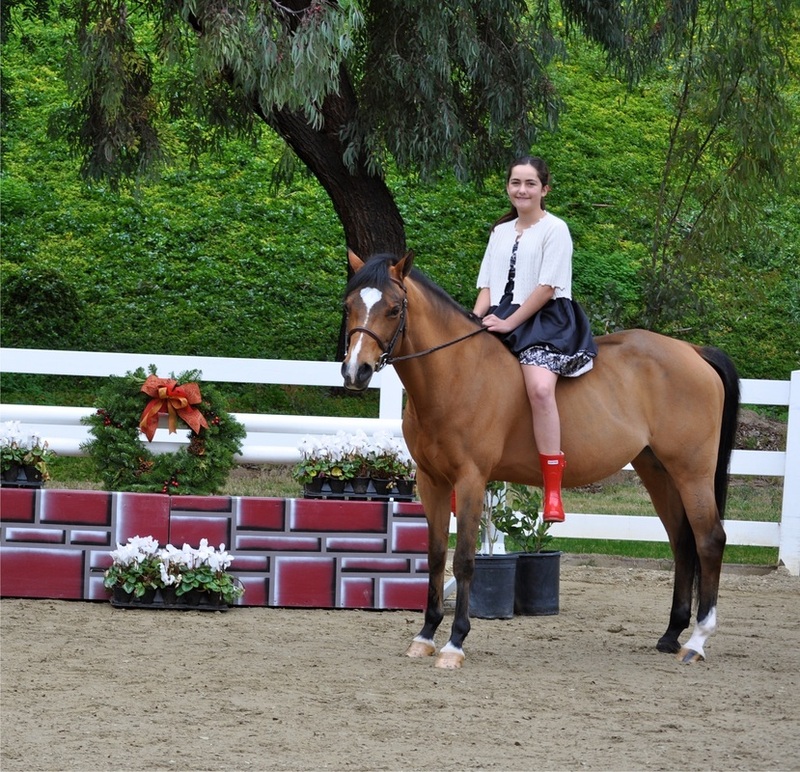 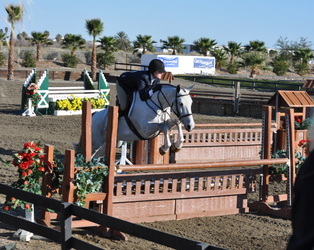 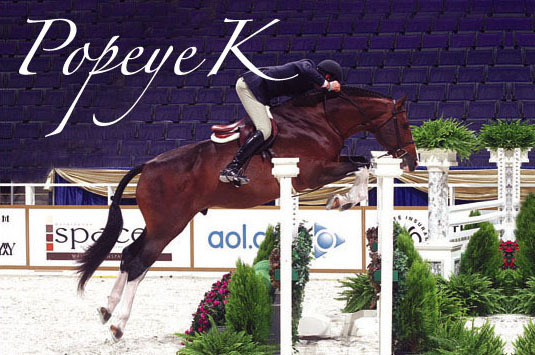 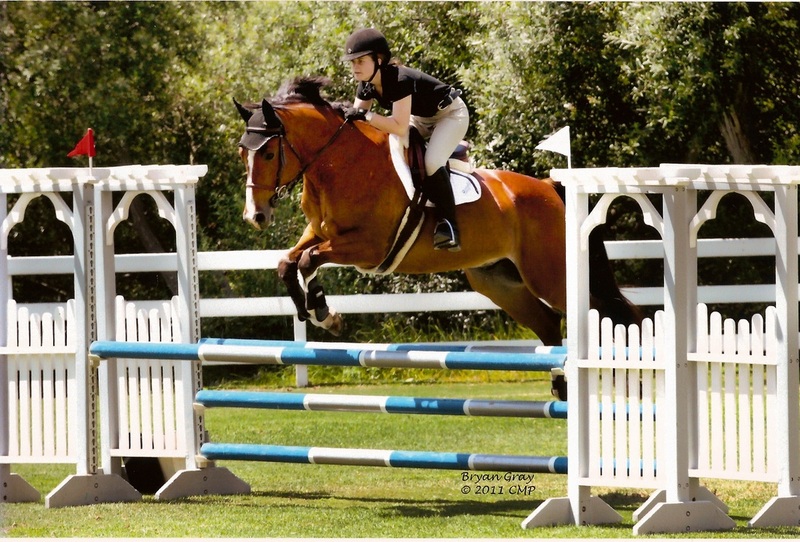 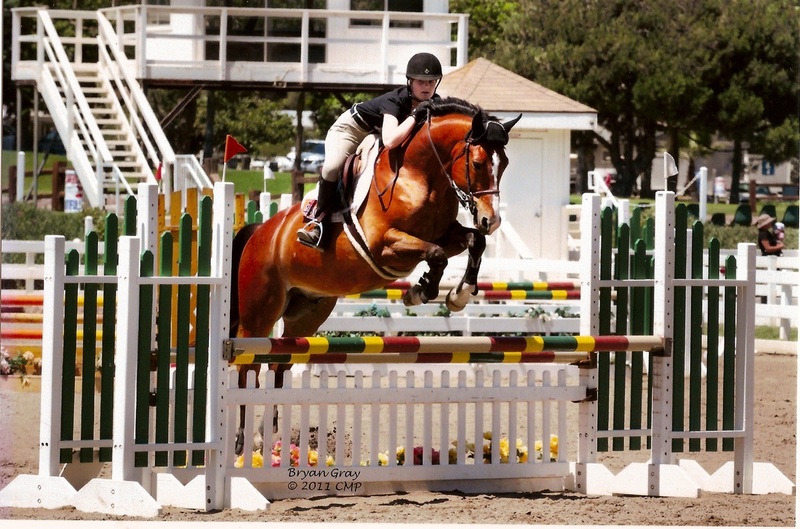 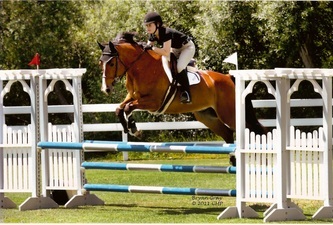 She instills a lot of confidence in her riders and is great for juniors in any kind of program. 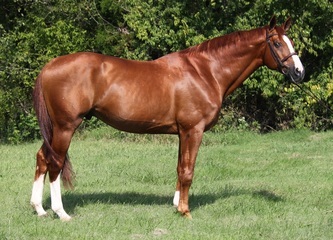 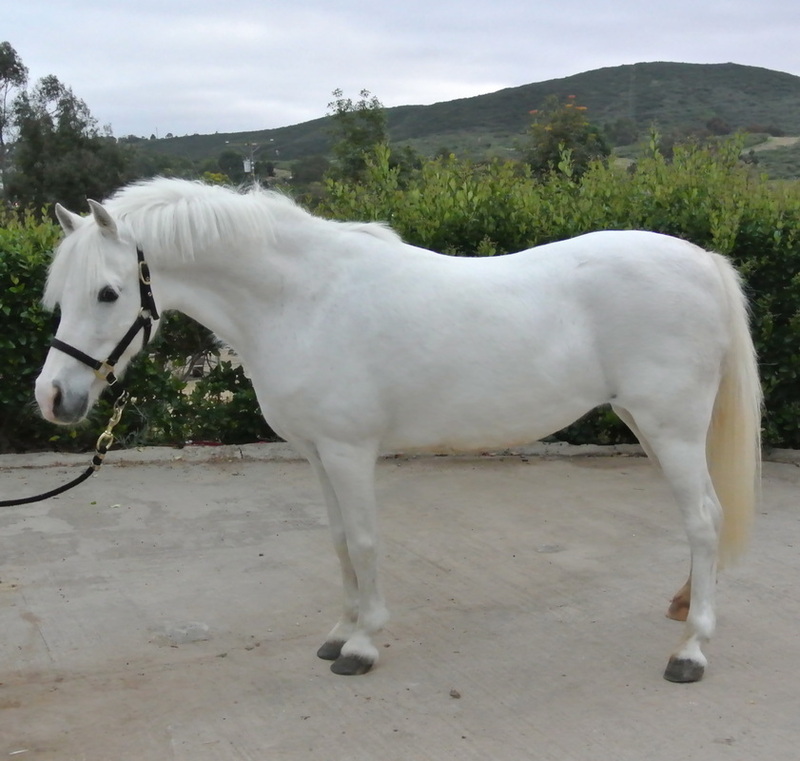 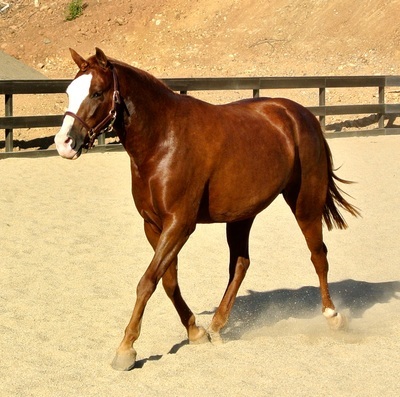 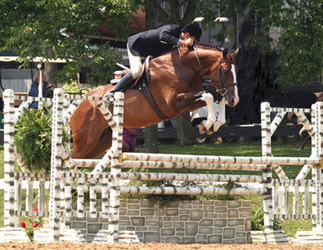 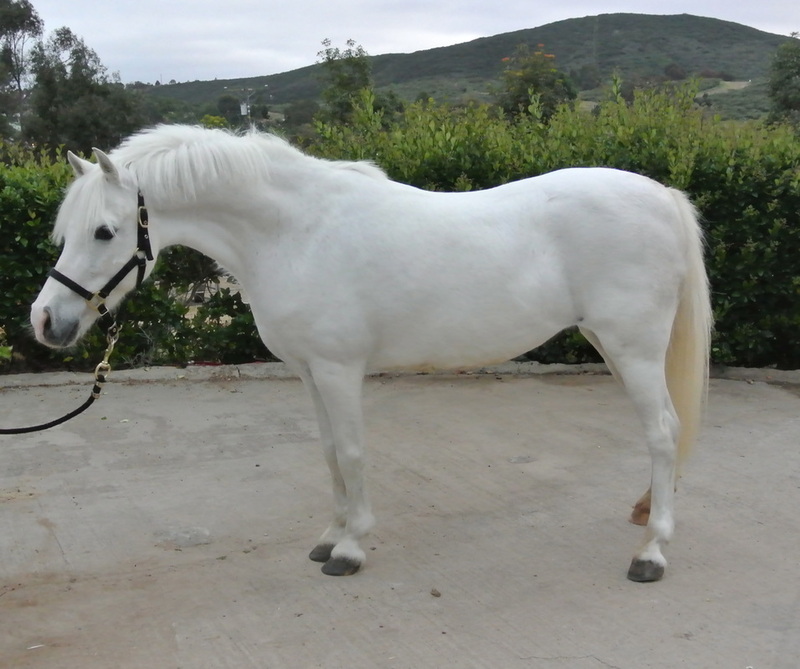 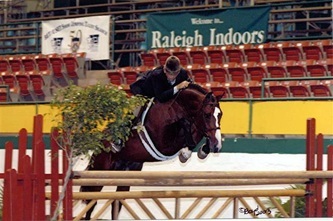 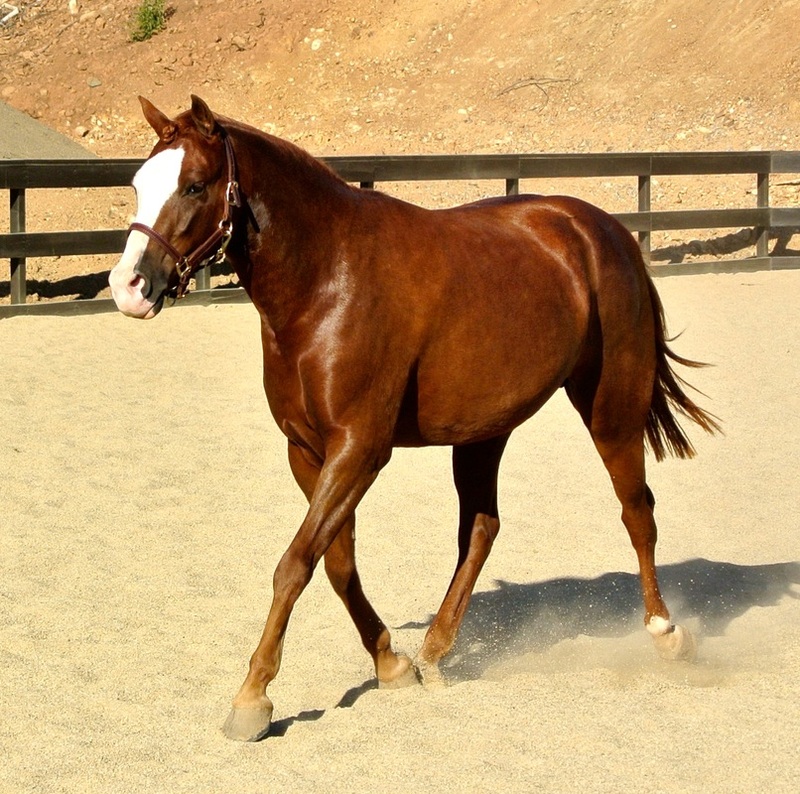 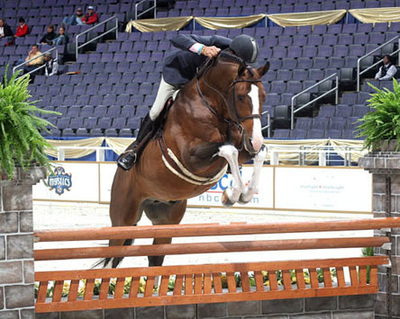 Record Performance - 2006 TB bay mare with lots of chrome - blaze and three whites. 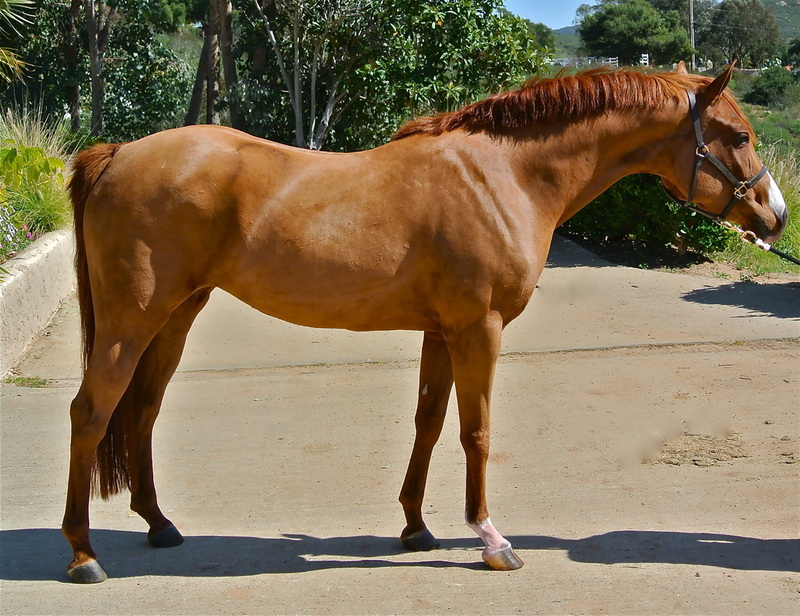 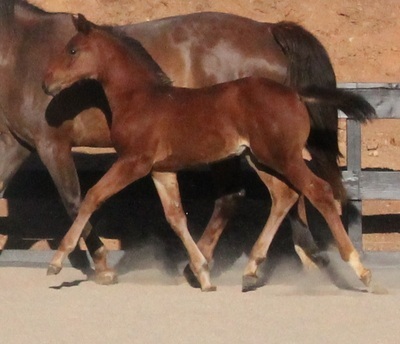 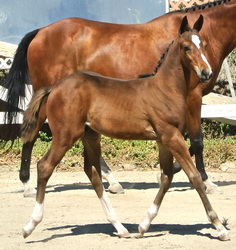 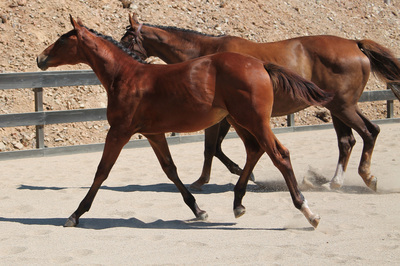 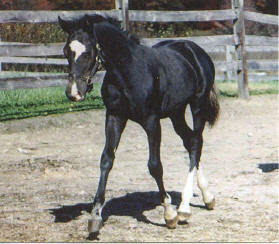 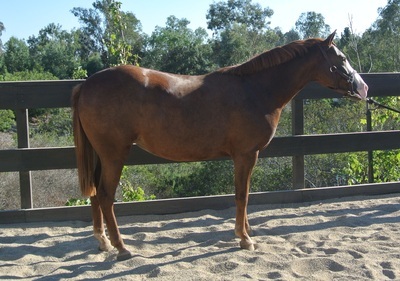 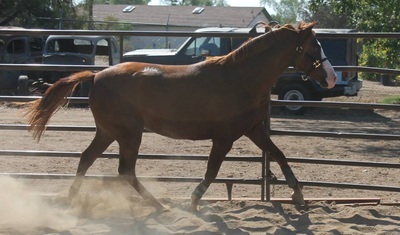 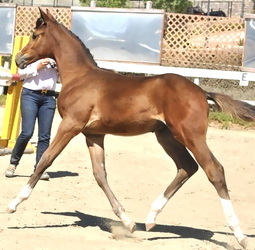 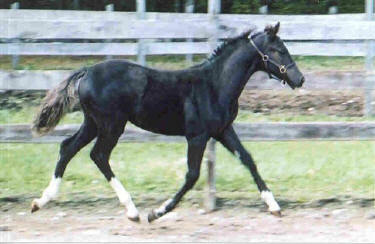 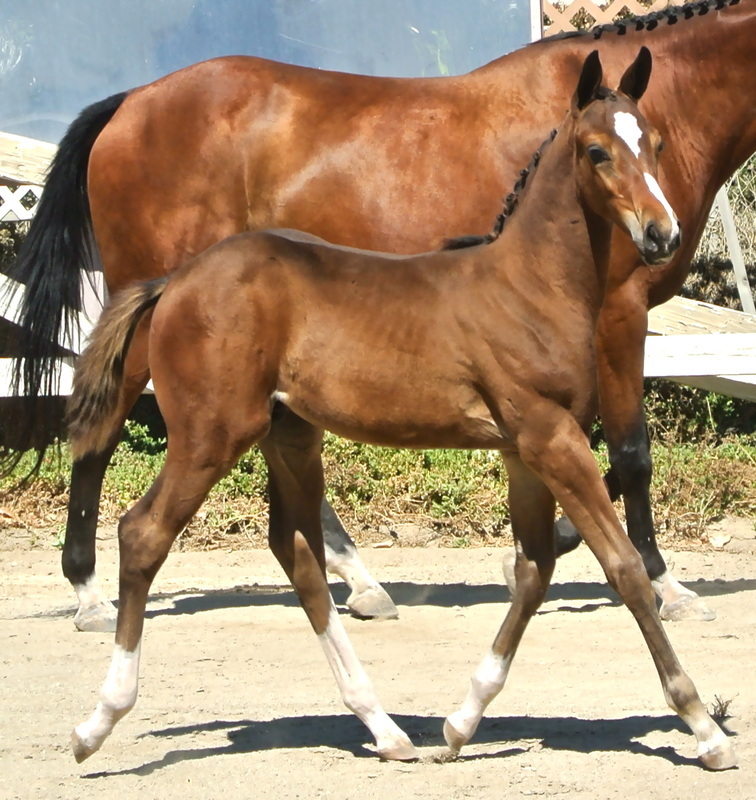 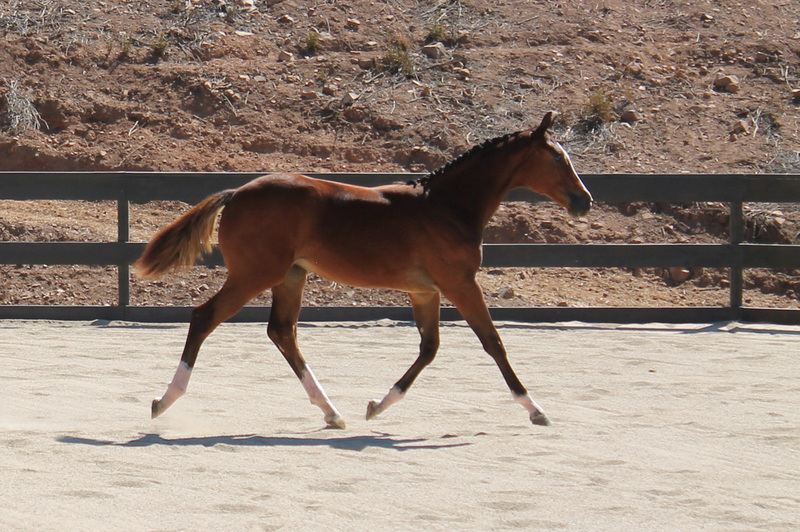 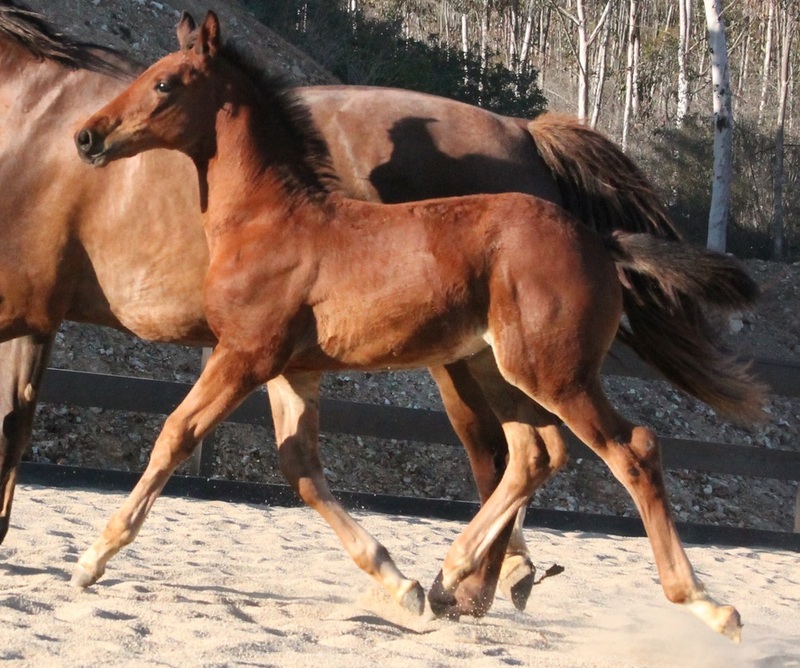 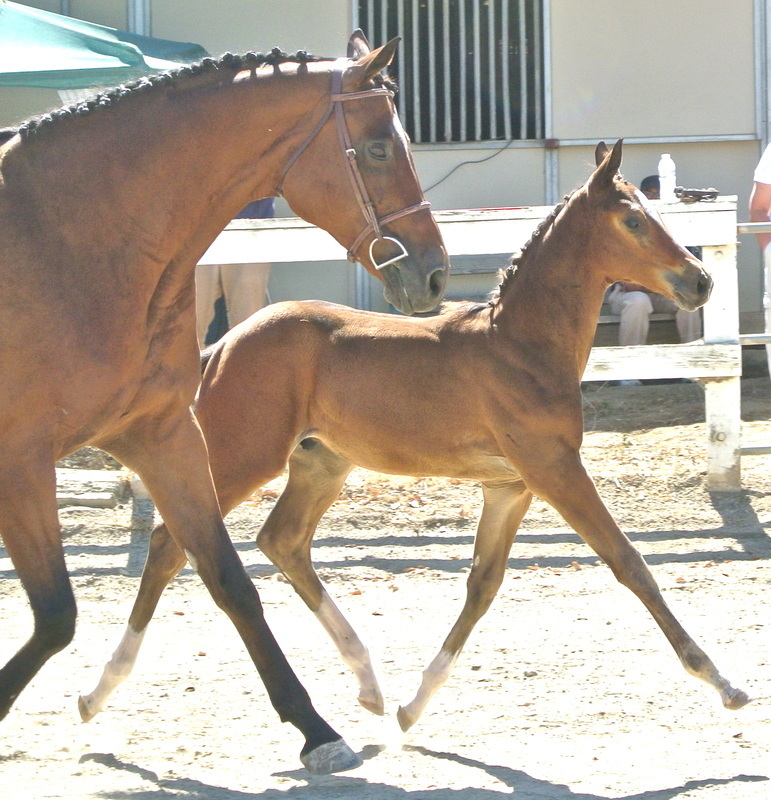 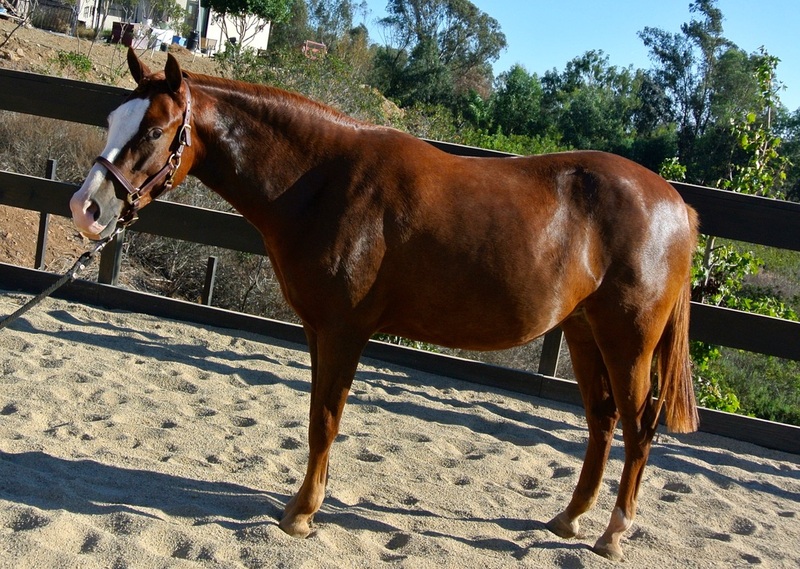 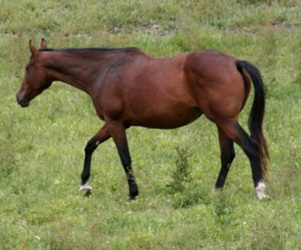 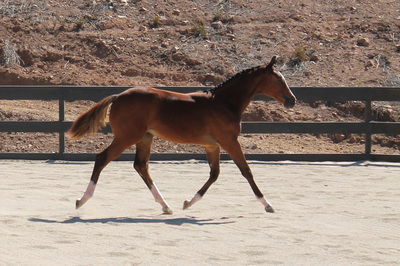 15.3 She has gorgeous conformation and looks more like a fancy warmblood then a TB. 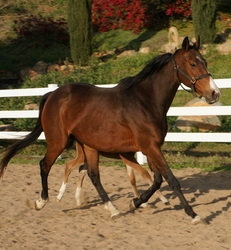 Very pretty mover and an excellent temperament. 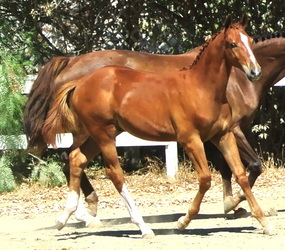 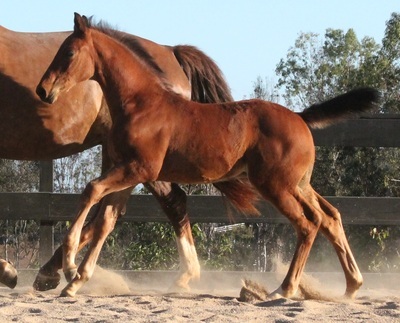 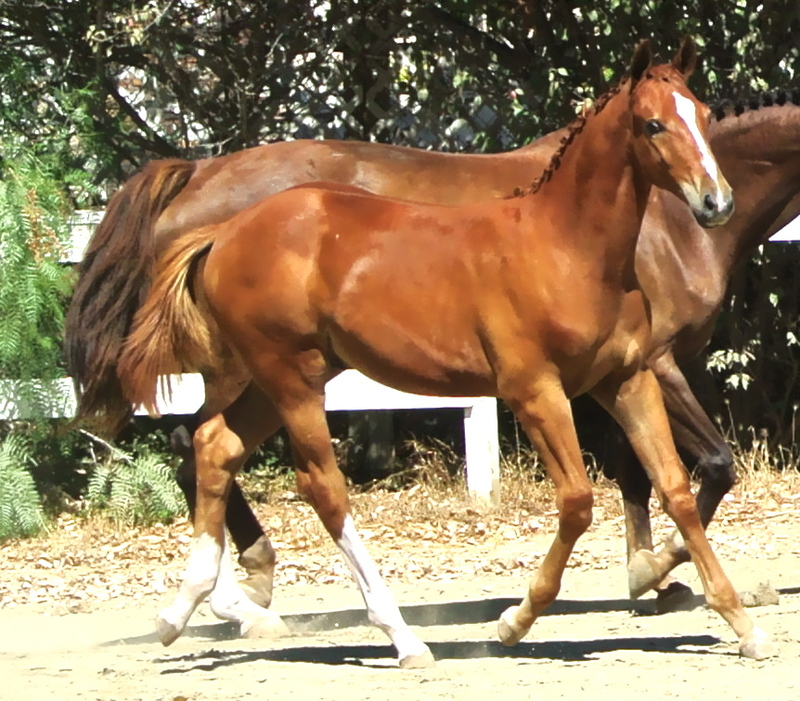 Proven broodmare with beautiful foals. 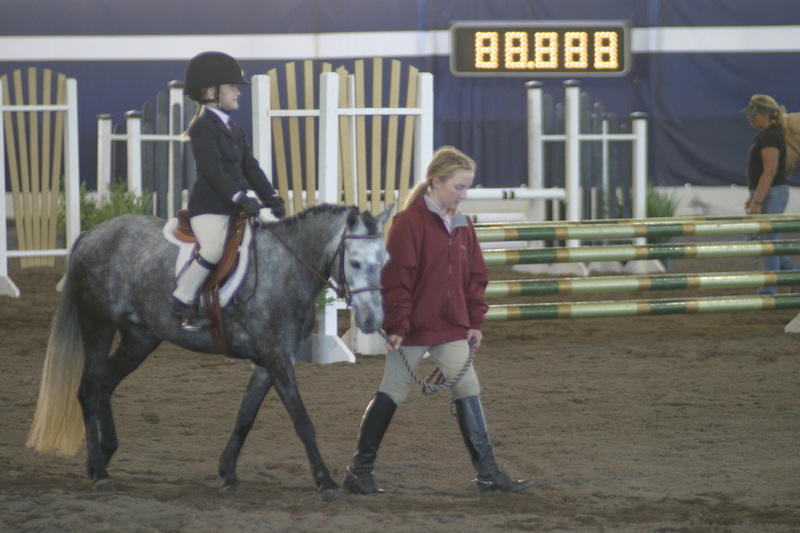 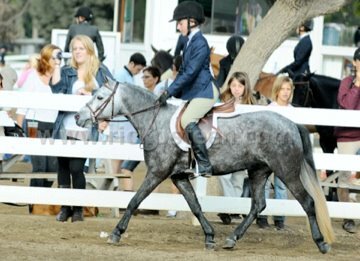 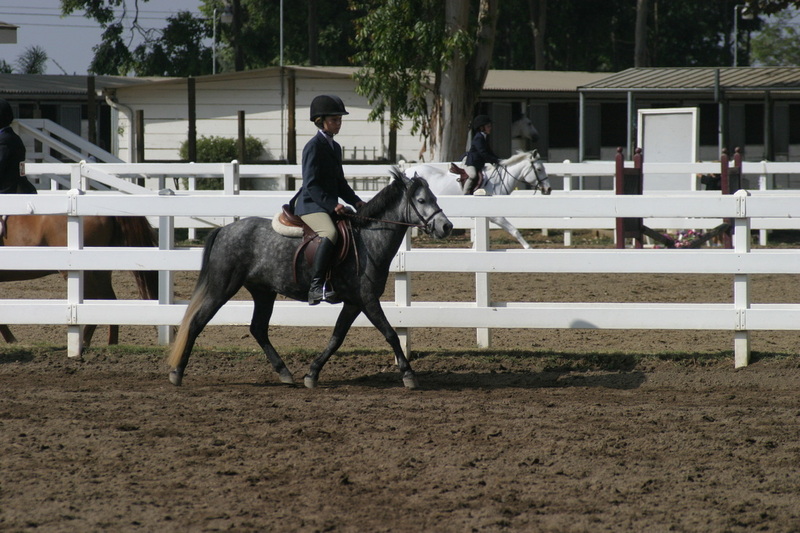 2004 small dark grey welsh mare 11.2 hds. 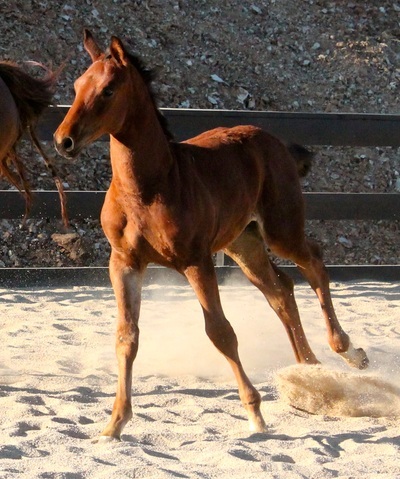 Great mover with cute jump. 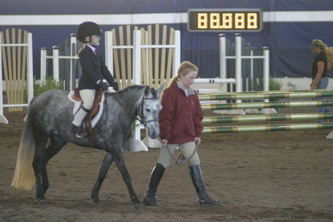 Has done lead line, walk trot, and short stirrup. 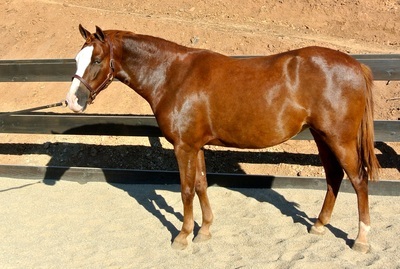 Big bodied with refinement. Congratulations Iona on your new girl.